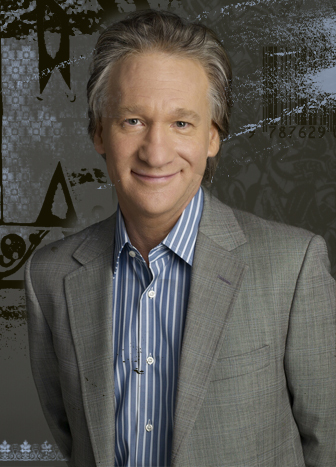 Bill Maher has come out with the BEST Christmas greeting ever. The best because it torpedoes the two pillars of American fetishism: Extreme, fake devotion to religion, and extreme, real devotion to getting more and more stuff. I had no idea Maher was so good at reading my mind. Props to Emily McManamy for alerting us to Maher’s video via Facebook. It’s a must watch. This entry was posted on December 21, 2010 at 4:32 pm and is filed under Uncategorized. You can follow any responses to this entry through the RSS 2.0 feed. You can leave a response, or trackback from your own site. Thanks for posting this. He’s right. It’s all about the stuff. A child was born in Bethlehem – but what we celebrate is not that he was born to be a peacemaker, but that he got presents. And so should we. It’s not that gifts in themselves are wrong – the giving of gifts is a fun tradition. It’s the vast quantity of stuff involved – and most of it is crap made by children in China. Plastics and electronics that will break and become obsolete and will end up in a landfill by next Christmas, so we’ll need to haul in more things to replace what we didn’t need in the first place. I lived in Italy for a year – in a furnished apartment. When I came home, I was horrified by how much stuff we had – it was suffocating. The Oprah show demonstrates the sick glorification of acquisition. I think it’s based merely on pure greed, (a desire to obtain stuff for oneself) but on envy – I want the sweater because s/he has a great sweater. And it’s fun to give, but Oprah’s generosity is based on her ability to shower largesse to get a big reaction – so we can all watch the little people scream. If that’s not it, why tape and broadcast that show? And Oprah’s magazine is heavy on the “be spiritual” message – but just as many pages are devoted to stuff she loves so we should buy it. Yep, it’s stuff we love. Thanks for a great post – and I hope that the holiday season brings gifts worth keeping, like memories, and joy. I especially like the last sentence 4initalia wrote. brilliant! Thanks, Matt and Denis. Matt, I found your blog on the WordPress Humor page – but then I couldn’t find it again, so I did a google search – and yours was at the top of the search engine heap – congratulations, and I’ll be back! I have a funny blog, about living in Italy, at 4initalia. It’s nice to meet you – and I look forward to more of your posts!